Google Chrome and Simon: Separated at birth? Will .cn become the new .com? Exactly, Simon! That was my first impression. Not out of date at all. 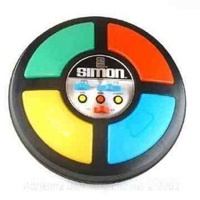 We bought Super Simon for our kids last Christmas.